Ask any established contractor about the difference between a re-circulating mixing hydroseeder compared to a hydroseeder with a paddle blade mixer, like TurfMaker. This will be the only research you need. A hydroseeder is a long-term investment. It’s important to be realistic. 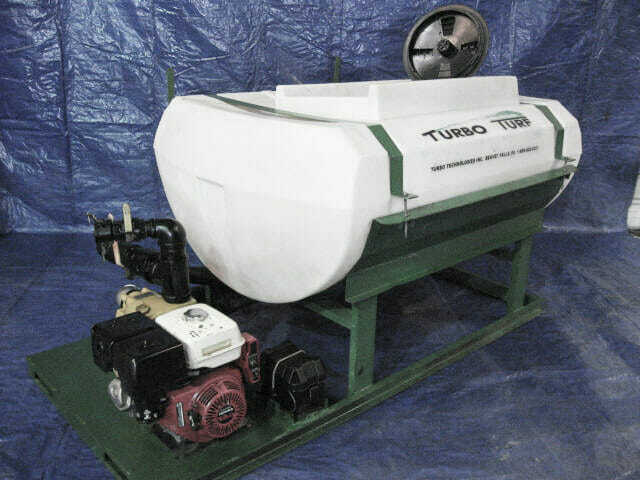 A Turbo Turf hydroseeder with a $3,000 – $4,000 price tag sounds great, but an extra $5,000± investment in your business will prove vastly more profitable in the long-term. Can your jet agitation hydroseeder use 100% wood mulch? Or, better yet, the erosion control blanket mulches? 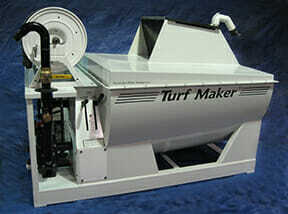 How long does it take to load and mix a tank load in a Turbo Turf or any other jet agitation machine? How much mulch do you apply per 1,000 square feet? Do you ever clog the machine during loading? If so, how long does it take to fix the clog? Would you buy another jet agitation hydroseeder? 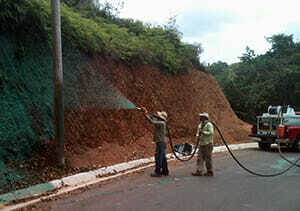 You can use 100% wood mulch and any erosion control blanket mulch. You can load and mix a tank load of any mulch and start shooting in less than 5 minutes. A good mulch application (with quality mulch) is typically 45-60lbs per 1,000 square feet. A TurfMaker hydroseeder never clogs during loading. Quality of the Job Both the quality of mulch and the thickness of the application frequently impact the grass growing results. Thin mulch applications can wash out, resulting in spotty grass growing and unhappy customers. It takes a good application of good mulch to ensure Sod Quality Results. Time on the Job: A job that takes one hour with a TurfMaker 325 may easily take 2 or 3 hours with a small Turbo Turf jet agitation machine. Similarly, a job that takes one day with a TurfMaker 325 may take 2 or 3 days with with a Turbo Turf jet agitation hydro seeder. Appropriate costing of a machine, truck, and crew for a full work day could easily be $500 or more per day. Spending even one extra day unnecessarily due to machine inefficiency is just not smart. Want to Continue the Discussion over the Phone?